If you are looking for a pair of headphones that can be used to enjoy the best quality sounds, T1 Tesla by Beyer is one of the best options available out there. 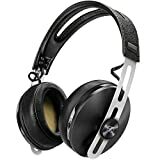 The T1 Tesla Audiophile Stereo Headphones by Beyerdynamic has gained much attention in the market. 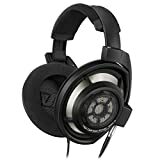 This 600 Ohm headphone proves its power when you connect it to an amplifier or a hi-fi system. It can also be considered as a perfect combination of passion and precision. You cannot find those features in any other headphone out there. Keep on reading this article to learn more about the T1 Tesla Audiophile Stereo Headphones and find out why it’s worth the money. 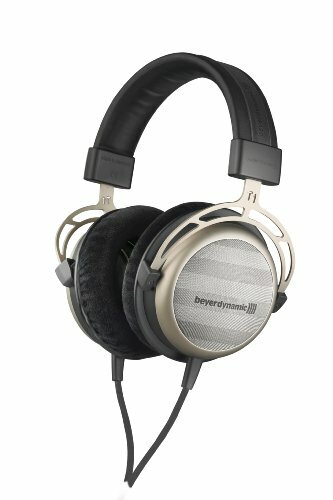 World class sound and excellent comfort from Beyerdynamic. Solid and durable build quality. Expensive when compared to other headphones in the market. The headband is a little flimsy. Beyer has included completely resigned transducers to the T1 Tesla Audiophile Stereo Headphones. This has helped this headphone to achieve values of over one Tesla. It has given opportunity for the people to listen to music with twice the volume that they can expect from traditional headphones. The electric signals are converted into sound waves in an effective manner through these headphones. During this conversion process, distortion and power is preserved. In other words, it can be considered as lose less conversion. The design of T1 Tesla Audiophile Stereo Headphones are pretty impressive. The developers have given an elegant design to it in order to impress the customers. This unique design complements all the technical achievements of the headphone. Even the smallest elements in sound are highlighted in detail through the headphones. For example, you will be able to hear the sounds made by raindrops, footsteps or even whisperings, which you could not hear before from the headphones you had. If you have the passion towards music, you can go deep into it with the assistance of this product. The sounds are extremely transparent and you can hear almost everything. The world class “Made in Germany” quality can therefore be found in these headphones. T1 Tesla Audiophile Stereo Headphones is a wired headphone. The semi-open design does not make much hassle when you are using the product. The headphones have an impedance of 600 ohms, which is also known as nominal impedance. It happens as a result of the AC resistance in loudspeaker coils. The frequency response of these headphones are in between 5 kHz to 50,000 kHz. It highlights the lowest and highest frequencies that can be produced through the transducer. The sound is delivered at an average sound pressure level of 102 db. If you are looking for a pair of headphones that can be used to enjoy the best quality sounds, T1 Tesla by Beyer is one of the best options available out there. It comes along with a 6.35mm jack plug that is associated with a straight connecting cable. Even though it is marked at a higher price tag, the benefits you get are totally worth when compared to the amount you pay.